Keeping your music, movies, TV shows and photo library in sync across multiple devices emerged as one of the biggest first-world problems with the rise in popularity of smartphones and tablets a few years ago. The issue has only recently been resolved to a certain extent thanks to solutions such as Apple’s iCloud and Microsoft’s Windows Live SkyDrive, but managing data – and keeping it in sync – is still not as seamless as we would like it to be. Adobe is attempting to solve the photo library syncing issue to the fullest possible extend with their new Carousel apps for iOS and OS X which, well, keeps your photos in sync. Check it out after the break! 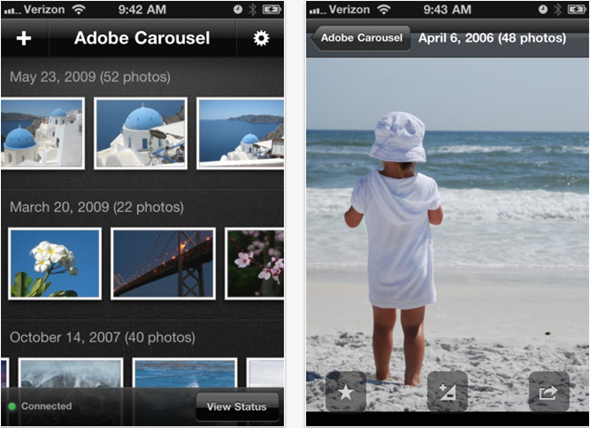 Adobe Carousel keeps all your photos synchronized across your iOS devices and Macs so you can access, edit and share them anytime. Have you ever gotten frustrated trying to keep track of the photos stashed on all of the devices that you and your family own? Adobe Carousel gives you a new way to enjoy your photos, making all of them available across your Mac and iOS devices*, so you can browse, enhance, and share them easily. No manual syncing, no storage limits, no differences in what photos are available to you. Your photography is everywhere you are. I’m sure Apple enthusiasts must be wondering what advantage Carousel has over Apple’s very own, recently introduced free iCloud service. Well, iCloud’s photo backup and syncing will look severely limited after you realize how iCloud stores up to 1000 photos for 30 days only and does not allow you to edit your photos the way Adobe Carousel does. So that’s two advantages: unlimited storage and the ability to process your photos. 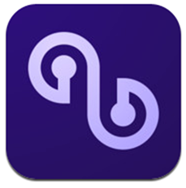 Check out our iPhone Apps Gallery, iPad Apps Gallery and OS X Apps Gallery to explore more apps for your iOS device and OS X computer.